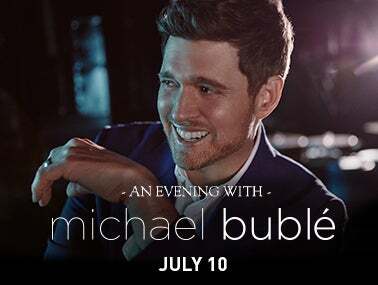 Singer Michael Bublé will perform at Golden 1 Center on Wednesday, July 10. Tickets go on sale Monday, February 11 at 10 a.m. at Golden1Center.com and make a great Valentine’s gift. Every ticket purchased includes a standard CD or digital copy of Michael’s new album Love, his 8th major studio album for Reprise Records. The first leg of Michael’s SOLD OUT U.S. TOUR begins in Tampa, Florida on February 13th and ends in Tacoma, Washington on April 6th. Now ten additional shows have been added. This past August, Bublé returned to the stage after a lengthy absence for shows in Dublin, London and Sydney where he performed for over 150,000 fans. He has already completed five sold out world tours, won four Grammy Awards and sold over 60 million records over the course of his extraordinary career.